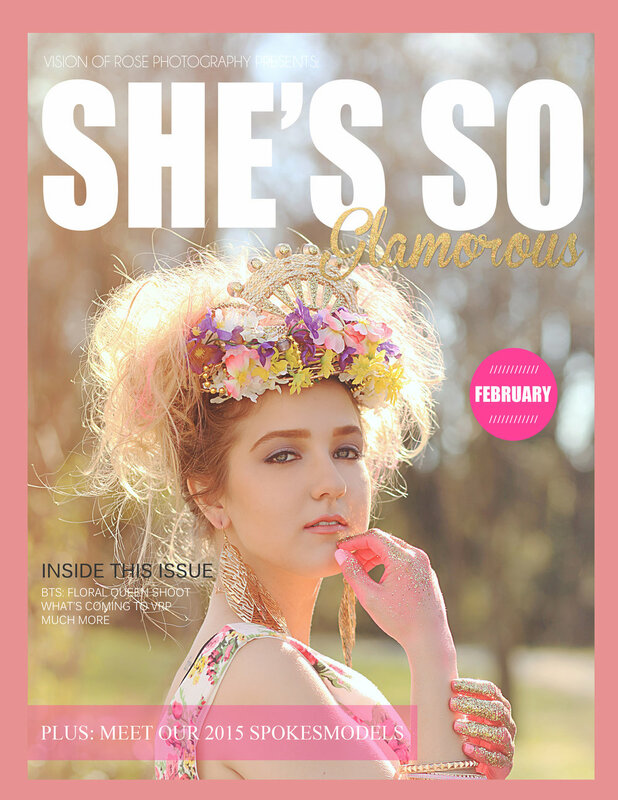 She's So Glamorous Magazine was founded in February 2015 by Rosey Slocum, owner of Vision of Rose Photography & Loving the Skin I'm In. She's So Glamorous started out as a "How to Prepare" publication in March 2014, and was sent out to clients of VRP to help them prepare for their scheduled portrait sessions. Rosey decided to start including examples of previous sessions as well as inspirational quotes and messages from previous clients to help lift up the reader's confidence and excitement for their up-coming portrait session. The publication was a huge hit with clients and they began requesting for it to be turned into a quarterly publication that clients could receive via-email. After plenty of thought and prayer, Rosey turned her How to Prepare publication into a quarterly online newsletter that was sent out directly to email list subscribers. From there, more and more requests began to pour in for the publication to come out monthly instead of quarterly. Rosey's mission was always to find a way to publish the amazing women she would photograph for her business. However, all publishers are different and while some may accept all body types, there are handfuls that do not. Instead of becoming discouraged with rejection emails that proclaimed the sessions submitted weren't the right "fit", Rosey began brainstorming ideas. Pairing this with her client's requests, she decided to turn her How to Prepare quarterly newsletter into a hard-copy printed magazine titled She's So Glamorous, that would feature sessions of her choice, share inspirational stories and inspire women. She decided to turn She's So Glamorous into both a printed and online magazine that would go out on the 15th of each month, every month. The response has been overwhelmingly supportive and She's So Glamorous is now mailed to over 3,000 homes worldwide yearly and delivered monthly to over 5,000 inboxes via-email! 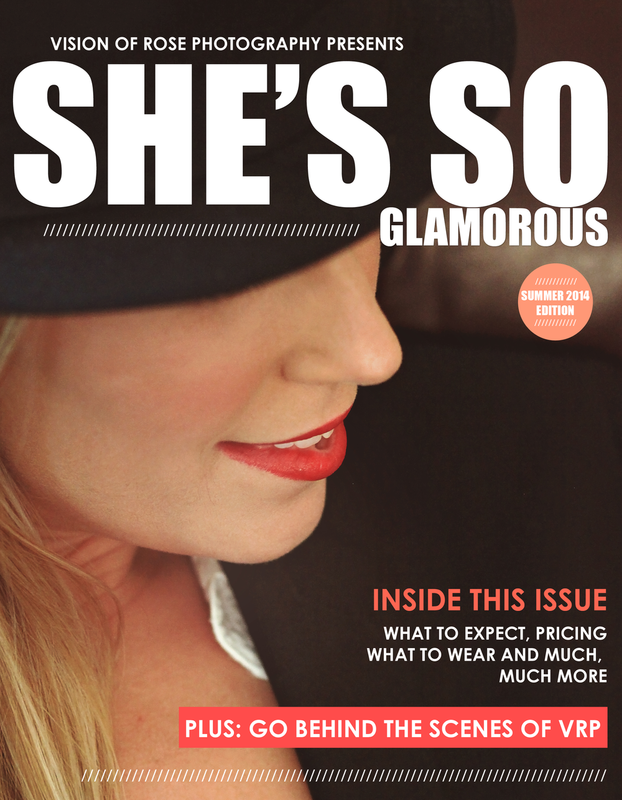 She's So Glamorous Magazine's mission is to feature the everyday woman and teen in an uplifting, inspiring and empowering way while staying true to our roots and history! We strive to meet high standards and use one of the best publishers in the business! Our mission is to provide teens and women with inspirational stories of life, love, happiness and real-life easy-to-relate circumstances. From the high school senior to the 60+ senior woman, we are proud to say that we feature every woman of every race with every body type on the cover of our publication and we plan to always do so! Patricia "Trish" Yonts is the Lead Contributor for SSG In writing columns for our Health + Happiness feature. Trish is the wife of Steve and mother to Keira; who enjoys dancing. Trish inspires many men, women and teens monthly with her features written exclusively for She's So Glamorous Magazine as well as through her Instagram: @inspired2change4me , where she shares her weight-loss journey with thousands who read her story monthly and check her social media postings. Trish loves everything rainbows, unicorns and glitter. She has a gentle soul with a giving spirit and loves to help others in any way possible. She is also a Spokesmodel for Vision of Rose Photo; where she has represented the company for 2 solid years as a brand rep.